The winemaking team at Opolo is continuing to focus on sustainability throughout estate vineyards while diligently caring for each lot from fermentation to barrel. Their bold method of investing in vineyard practices, as well as the estate, has continued to flow into detailed winemaking– crafting elegant wines spanning across single and several varietals. Opolo’s flagship wine, Mountain Zinfandel, is by far most recognized and beloved by wine club members. Consistent to the overall fruit forward palate, Winemakers Chris and James have expertly weaved juicy red fruit notes with rounded spicy layers and a complex finish with balanced tannins. As Opolo has grown and refined its award-winning Zinfandel program throughout the years, they’ve also honed a passion for Cabernet Sauvignon and audacious Boudreaux blends. Evidenced by the evolution of their Reserve Rhapsody label, the decadent blend of Cabernet Sauvignon, Merlot and Malbec offers a fantastic opportunity for Opolo consumers to experience its bold dark fruit notes now and lay down to age for prime enjoyment of its balanced, full tannins. Opolo Vineyards has a long-established reputation of growing and producing award winning wines in Paso Robles, California. 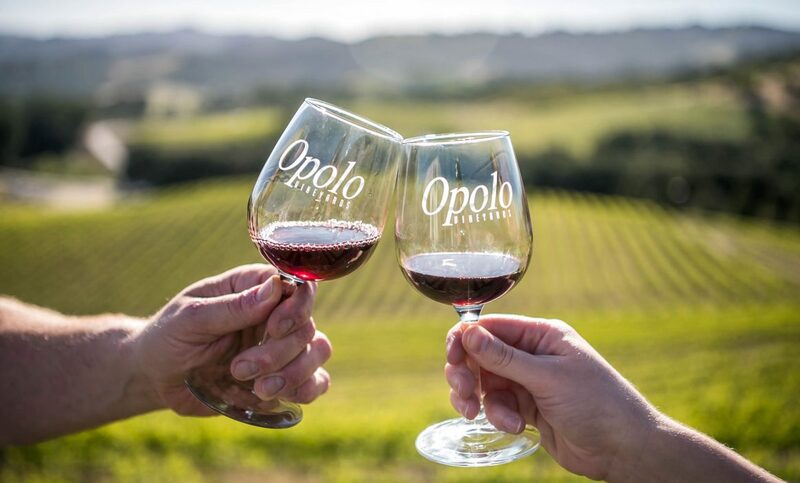 With nearly 300 acres of vines on the east and west side of Paso Robles, Opolo Vineyards is privy to a wide range in climate, soil and growing potential—allowing more than 32 varietals to flourish. This variety combined with the passion behind the brand has made Opolo a favorite of wine enthusiasts everywhere. Visit their estate vineyard on picturesque Vineyard Drive. Enjoy a wide range of experiences, from tours and cheese pairings, varied flight options and Pairings on the Patio to The Distillery at Opolo or one of our events on the hilltop where you’ll enjoy gorgeous vineyard views.